MECC Family Nights are lots of fun for the whole family! Watch a YouTube video from the August, 2014 Family Night, A Story Telling Adventure, with local storyteller and puppeteer Don Kirk. Everyone had fun in the mud at MECC’s Mud Family Night in June! Children at the Mud Day Family Night had a chance to make mud art, play catch with mud, and squish around for worms in the mud. At the May Family Night kids and grownups had a great time learning about safety! Thanks so much to everyone who came and enjoyed this great night of food, family, and fun, together. View photos from the 2016 Dr. Seuss Family Night! Thanks to our talented and creative staff for pulling this annual event off in style. The March Dr. Seuss themed Family Night was a great success, and a whole lot of Seussy fun! We are grateful to have shared this time with all those who attended. Thank you for coming, and thanks to the awesome MECC staff members who make all our Family Nights so very special! 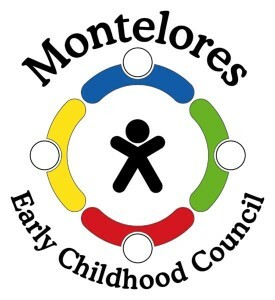 The Montelores Early Childhood Council and the Best Foot Forward Program came together on September 10th at Teddy Bear Preschool in Dolores, Co. for a School Readiness Family Night. About thirty families engaged in fun activities such as obstacle courses, pom-pom transfer and paper rocket launches! Ahoy, Mates – a good time was had by all pirates young and old at MECC’s September Pirate Family Night. Arg! An annual event held at the Beech Street Preschool, this popular Family Night is a chance for 4 year-olds and their families to get a taste of what kindergarten will be like in a year. MECC’s July 2015 GIANT YARD GAMES Family Night created new memories for the young and brought back some “old” memories for the young at heart! Lots of friends came out in Towaoc and Cortez to play games that fostered school readiness skills, and share in family fun. Thanks to the creative MECC staff members who created giant versions of these games! You are amazing! Who knew getting muddy could be so much fun? Thanks to all the families who came to play in the mud for our June, 2015 Family Night. And thanks, too, to the fabulous MECC staff who hosted this fun evening! MECC’s Summer Fun Idea Family Night, held May 21st, was a free night of family fun designed to give parents ideas for summer entertainment for the kids. Everyone had a blast! MECC’s annual Dr. Seuss Family Night in March was a wonderful time! Kids had fun making Dr. Seuss themed art (like Yertle the Turtle), playing games, and eating delicious food. We can't wait to do it again next year! You can see how much fun these families are having playing games of all kinds together, at MECC’s February 2015 Family Game Night. At MECC’s January, 2015 DIY Family Night, kids of all ages had fun trying new things, and learning to do-it-themselves! Some of the facial expressions show just how much concentration this took.